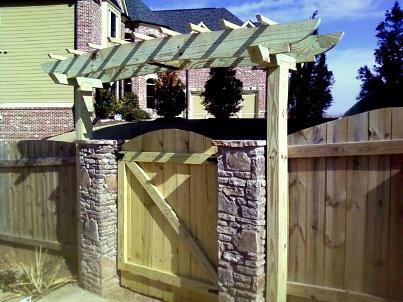 Experts in outdoor construction, Alcovy Fence builds fences that last. Alcovy Fence can provide insight into designing a fence that meets your needs and accents your property Using only the highest quality materials and adhering to strict fence construction methods, including galvanized fasteners, concrete in every post hole and a combination of Quik-Rok and concrete in gate posts, you will enjoy your Alcovy Fence project for many years to come. Alcovy Fence gates are constructed to last, using either cedar rails for a lighter more warp resistant gate or an optional welded steel gate frames. Alcovy Fence is a locally owned and operated fence company providing new fence installation and repair for wood, wood privacy, semi-privacy, chain link and all other types of fencing. 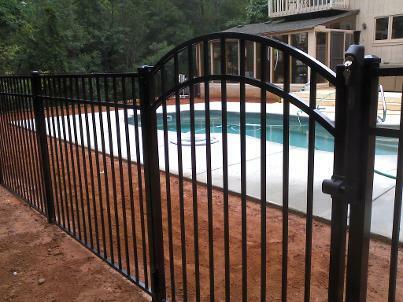 Alcovy Fence is an affordable, quality fence contractor that shows up on time and charges what they quote. No hidden fees, no fine print, no one price fits all or extra charges to complete the job. The price we quote before the job, is the price you pay when the job is complete. Also, we never employ day laborers or subcontractors to build your fence so you can feel safe and secure about the work being done on your property. Alcovy Fence is fully insured and will provide a Certificate of Liability Insurance upon request. Liability Insurance protects you in the event an accident occurs while we are on the job site and after the fence is complete. Whether you choose Alcovy Fence or not, be sure your fence contractor has up to date liability insurance. Repair, new installation and replacement of existing fences is available in the metro Atlanta area, the surrounding counties and the Athens area. With over 20 years of quality fence building, we are able to offer a custom fence solution for any need. To contact us for information or a fence quote please call 404.990.0225, email alcovyfence@gmail.com or click on the Contact Us tab and fill out the form.